The global refugee resettlement landscape shifted in dramatic ways over the course of 2017. Notably, the world’s longtime leader on resettlement, the United States, began to step back from this role under the Trump administration, admitting fewer than 54,000 refugees during fiscal year (FY) 2017—the lowest number in a decade. Further, in September, the U.S. State Department, in consultation with Congress, set the refugee admissions ceiling for FY 2018 at just 45,000, the lowest level since the program began in 1980. And in fact, many resettlement analysts predict the actual number of refugees who arrive in the United States during the year will likely be much lower. The halving of the U.S. resettlement commitment has and will continue to have a significant effect, both directly and indirectly, on global resettlement. The United States has accepted more than two-thirds of the world’s resettled refugees each year for the past decade. While new countries entered the resettlement space in 2017—and others such as Canada expanded existing programs—these efforts have so far proven insufficient to fill the gap left by the United States. As of September 2017, global resettlement departures as reported by the UN High Commissioner for Refugees (UNHCR) were just 40 percent of the total for the previous year, making it likely that total 2017 resettlement would fall well below 2016. At the same time, UNHCR estimates that the number of refugees globally in need of resettlement has risen to nearly 1.2 million. Of even greater concern, meanwhile, is that the shrinking of U.S. efforts exemplifies a larger trend that gained traction in 2017—a tendency to link asylum and resettlement as two sides of the same policy coin. Resettlement proponents may be heartened by the fact that at the same time as the United States has walked back its resettlement commitments, others have stepped forward. Most notably, Canada significantly expanded its resettlement efforts. The Canadian government committed to resettling approximately 25,000 refugees in 2017 and 27,000 in 2018, more than double the number pledged in 2015—after resettling a record 46,700 refugees in 2016 as part of an extraordinary effort to admit Syrians. Australia, historically the third leading resettlement country behind the United States and Canada, pledged to increase its resettlement intake in 2018 to the highest level in 30 years. Other countries with smaller programs also increased their commitments. The United Kingdom, for example, which had typically admitted fewer than 1,000 refugees each year prior to 2015, resettled close to 5,000 refugees annually in 2016 and 2017. New countries are also entering the resettlement space. In 2017, 30 countries resettled refugees, according to UNHCR, a substantial increase over the approximately 22 countries that did so prior to the Syrian civil war began in 2011. In Latin America, for example, Chile welcomed its first resettlement beneficiaries in 2017, admitting 66 refugees from Syria. 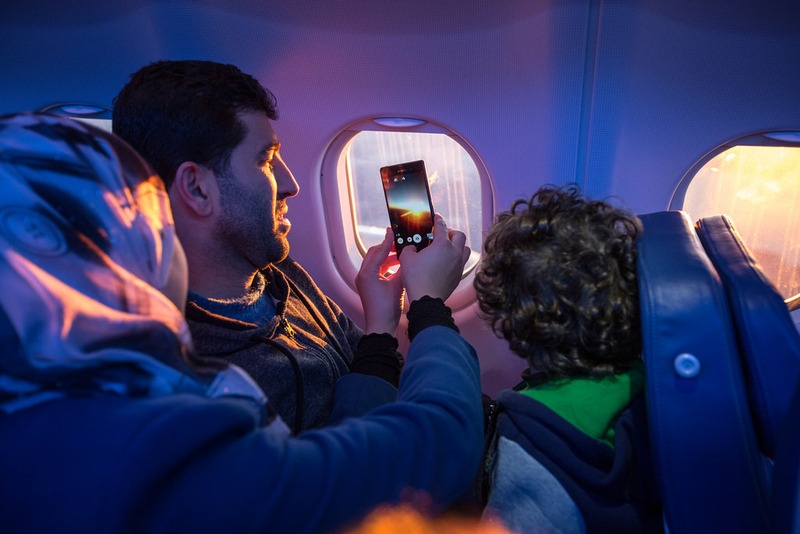 In Europe, the migration crisis in particular encouraged several European Union (EU) Member States to launch or expand resettlement efforts. Austria—which has never established a permanent resettlement program—admitted more than 1,300 refugees since 2014. Yet there is sufficient reason to temper feelings of optimism among refugee advocates. Increased pledges from Canada, Australia, and others have been nowhere near sufficient to make up for the lowered U.S. commitment. And beyond overall cuts to U.S. resettlement, the Trump administration’s decision to temporarily bar nationals of 11 countries from resettlement will also have a noticeable impact on countries of first asylum. Due to the size and geographic breadth of its program, the United States has often played a disproportionate role in resettlement for certain refugee populations. For example, the United States provided more than 90 percent of all resettlement places for Somali refugees in 2016, primarily from Kenya. And in the Syria region, U.S. departures accounted for more than 60 percent of resettlement from Jordan in 2016, while other countries have concentrated on resettling Syrians from Lebanon and Turkey. After the United States imposed restrictions on Syrian and Somali nationals, among others, Syrian refugee departures from Jordan fell from nearly 18,000 in 2016 to just under 4,000 as of September 2017. Similarly, departures of Somalis declined from almost 11,000 in 2016 to less than 3,000 over the same period. Meanwhile, a closer look at the reasons why many countries have expanded their resettlement programs—and why the United States has reduced its efforts—should give proponents reason to pause. For much of the past two decades, UNHCR and the broader international community have come to view resettlement primarily as a “durable solution” for refugees who face protracted displacement. Refugees from Myanmar, Bhutan, Sudan, and Somalia—many of whom had been displaced for decades—made up a large proportion of the resettlement caseload beginning in the early 2000s. But the six years since the onset of the Arab Spring in 2011, and more specifically the Syrian civil war, have brought marked changes in how resettlement is deployed. Increasingly, national governments appear ready to view resettlement, which is an orderly, planned process, as a migration-management tool or as an alternative to the often messy and unpredictable territorial asylum system. The conceptual combining of asylum and resettlement is not itself new and has its origins in Australia’s Operation Sovereign Borders, which stringently denies asylum to protection seekers who arrive by boat while maintaining the country’s commitment to refugee resettlement. And while the “Australian model” has been roundly criticized by human-rights and refugee advocates, as well as UNHCR, it appears to be gaining traction among some governments. This dynamic has clearly emerged in the European Union, as Member States and the European Commission seek a way forward in the aftermath of the migration crisis. EU plans have emphasized the need for resettlement as a safe avenue for refugee protection, while also highlighting its value as a migration-management tool. The September 2017 recommendation by the European Commission on enhancing legal pathways to protection, for example, explained that resettlement not only saves lives but also “contributes to reducing irregular migration and managing migratory pressure.” At the national level, the idea that more orderly resettlement could complement or replace spontaneous and chaotic asylum flows has been embraced by several government leaders, including most recently by France’s newly elected President, Emmanuel Macron. Similar rhetoric appeared in the presidential report proposing U.S. refugee resettlement commitments for FY 2018. In a departure from previous years, the report presents U.S. asylum applications and admissions alongside details of the refugee resettlement program, contending that “it is important, when considering our nation’s humanitarian response, to consider not only refugee resettlement but also the work being done and the challenges confronted in providing asylum.” The report then cites the growing number of asylum claims in the United States as one of the primary reasons for reducing the FY 2018 resettlement ceiling, implicitly placing asylum claims and refugee resettlement in direct competition for finite federal resources. While the increasing confluence of resettlement and asylum policies has arguably had some positive effects—most notably the growing commitment of EU countries to refugee resettlement—other implications of such a conceptual shift may be cause for concern. Most immediately, refugees in protracted situations awaiting resettlement are likely to feel the effects. European countries expanding their resettlement programs have shown little interest in providing resettlement to refugees in places such as Kenya, where the United States has stepped back. Rather, EU commitments for 2017 and 2018 have focused almost entirely on resettlement from “migration corridors” and high-sending regions, with the goal of stemming irregular migration flows to Europe. It is thus unlikely that new European commitments, at least, will make up for the decline in resettlement to the United States from these regions. Of greater significance, however, may be the long-term effects of the juxtaposition of resettlement and asylum. While it has become almost cliché to say that the global protection system is broken and in need of reform, it is debatable whether substituting resettlement for access to territorial asylum is an answer. Yet few innovative alternatives have been presented to policymakers searching for ways to control their borders while also upholding their protection obligations. As the pressures on the global protection system look set to continue in 2018, such vexed questions are unlikely to disappear. Australia Department of Immigration and Border Protection (DIBP). 2017. Discussion Paper: Australia’s Humanitarian Programme 2017-18. Melbourne: DIBP. Available online. Baker, Peter and Adam Liptak. 2017. U.S. Resumes Taking in Refugees, but 11 Countries Face More Review. New York Times, October 24, 2017. Available online. European Commission. 2017. Commission Recommendation of 27.9.2017 on Enhancing Legal Pathways for Persons in Need of International Protection. Available online. ---. 2017. Rencontre à Paris sur la Migration: Déclaration Conjointe “Relever le Défi de la Migration et de l'Asile.” Press release, European Commission, August 28, 2017. Available online. Immigration, Refugees, and Citizenship Canada (IRCC). 2014. Notice – Supplementary Information to the 2015 Immigration Levels Plan. News release, IRCC, November 6, 2014. Available online. ---. 2016. Notice – Supplementary Information 2016 Immigration Levels Plan. News release, IRCC, March 8, 2016. Available online. ---. 2016. Key Highlights 2017 Immigration Levels Plan. News release, IRCC, October 31, 2016. Available online. ---. 2017. Notice – Supplementary Information 2018-2020 Immigration Levels Plan. News release, IRCC, November 1, 2017. Available online. Prime Minister of Australia. 2016. Operation Sovereign Borders: No Successful People Smuggling Boats in Two Years. Press release, Prime Minister of Australia, July 27, 2016. Available online. U.S. State Department Bureau of Population, Refugees, and Migration. 2017. Refugee Admissions Report October 31, 2017. Available online. ---. 2017. Proposed Refugee Admissions for Fiscal Year 2018. Available online. UN High Commissioner for Refugees (UNHCR). N.d. Resettlement Data. Accessed November 29, 2017. Available online. ---. 2017. Resettlement Data Finder. Available online.